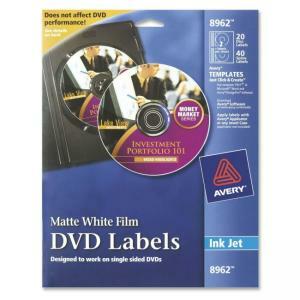 DVD labels are made of a special film material designed specifically for DVDs. Apply labels easily with alignment guide or Avery Applicator (sold separately). Does not affect the playback of single-sided DVDs. Avery offers many easy-to-use Avery templates for Microsoft Word and other popular software programs. 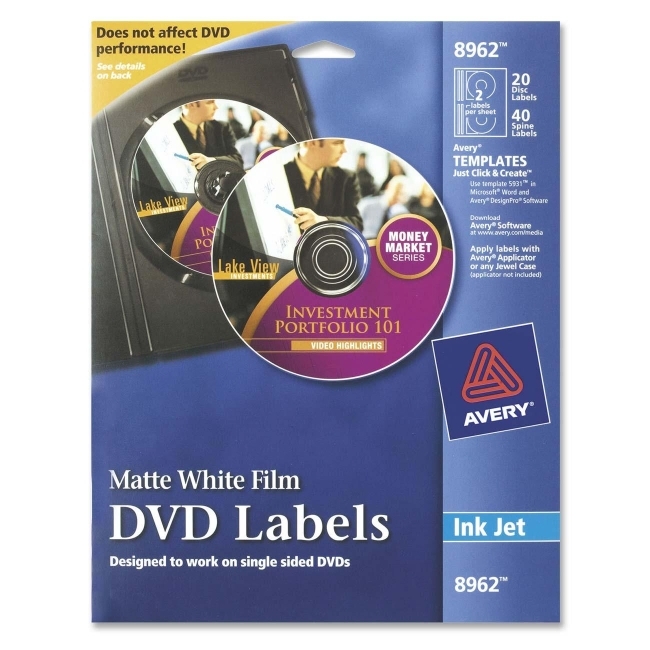 Matte white labels are inkjet compatible. Two disk labels per sheet and four jewel case spine labels per sheet.